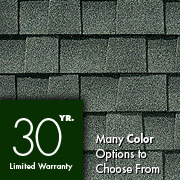 The heaviest, thickest, and longest-lasting shingle in the Timberline® series. 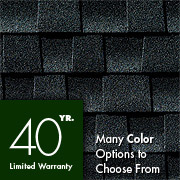 Stylish and practically priced with an outstanding 40-year warranty. 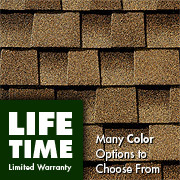 Heavyweight design and extra-strong Micro Weave® core make it a popular choice in the Timberline® series — the most popular architectural shingles in North America! 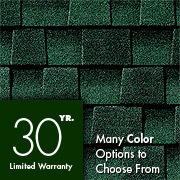 Since your roof can represent 40% or more of your home's "curb appeal," you can improve its resale value with Timberline™ Natural Shadow™ shingles from GAF-Elk. They'll give you the upscale, architectural look you want, at a price you can afford!